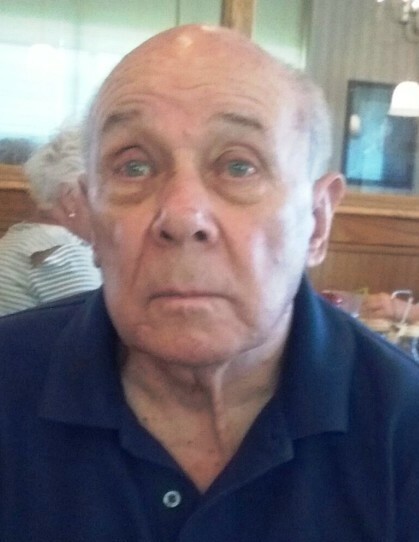 Obituary for Frank E. "Bud" Winger | Hile-Best Funeral Home, Inc.
Frank E. "Bud" Winger, 84, of Seneca, formerly of Oil City, passed away peacefully on Saturday evening, September 29, 2018 at The Caring Place in Franklin. Frank was born September 23, 1934 in Oil City to the late James A. and Elizabeth M. (Pullease) Winger. He graduated in 1952 from Oil City High School and then graduated from Alliance College in Cambridge Springs. He previously worked at the former White Ford, Chicago Pneumatic, and retired after 27 years with American General Life Insurance Company. Frank enjoyed golfing, following the Pittsburgh Pirates and Steelers, and the company of his grandsons. He is survived by a son, Jeffrey Winger of Grove City; a daughter, Tracey Hutchinson and her husband James of Oil City; three grandsons: Cody Best and Niomi Sritan of Vail, Colorado, Colton Winger and Becca Simon of Grove City, and Heath Winger of Grove City; and two great-grandchildren, Ava and Ronin of Grove City. Also surviving is his brother, David Winger and his wife Kay of Omaha, Nebraska; two sisters-in-law, Gayle Winger of Franklin, and Patricia Winger of St. Joseph, Michigan; his former wife, Gerry Winger of Oil City; and numerous nieces, nephews, and cousins. In addition to his parents, he was preceded in death by two brothers, Philip and Daniel Winger. Per Frank's wishes, he will be cremated. A memorial gathering will be held from 2-5 p.m. on Monday (October 8th) in the Hile-Best Funeral Home, 2781 Rte. 257 in Seneca, Cranberry Township, where a celebration of his life will follow Monday at 5 p.m. In lieu of flowers, the family requests memorial donations be made on behalf of Bud's love for dogs, and to help enable rescues to find forever homes, to: Lots 'O Spots Acres, c/o Tracy Rivers, 2025 Cranberry-Rockland Road, Kennerdell, PA 16374.